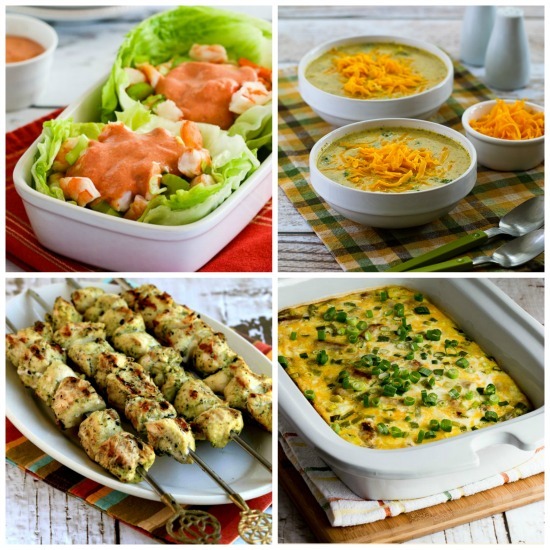 Here are my picks for The Top 10 New Recipes of 2015 from Kalyn’s Kitchen! And I can never narrow it down to just ten recipes, so there are some very worthwhile honorable mentions too. Use the Recipes-by-Diet-Type Index to find more recipes like these. I love the time between Christmas and New Year’s when the holiday rush is mostly over and people are filled with anticipation about the new year. I have a few favorite traditions for those days, and one of them is making this annual list of my top ten recipes from the year. Lots of bloggers do these best-of-the-year lists, and some go strictly by website traffic to decide which recipes to spotlight. But to me, that method feels like the deck is always stacked in favor of recipes that showed up early in the year. So I start making my list by looking through the monthly archives to pick the popular recipes and my own favorites from each month. And every year when I try narrowing down that list, I can never settle on only ten recipes, so I end up designating some as honorable mentions. But whether it’s a top ten pick or an honorable mention, every recipe that makes the cut is one I’m proud of and have really enjoyed eating. And what I love most about this whole process of choosing my yearly faves is that it reminds me about how incredibly lucky I am to spend my days creating good food and sharing it with you here. So if you’re reading this post, thank you so much for visiting the blog and helping me make my dream job into a reality. And now, here are The Top 10 New Recipes of 2015 from Kalyn’s Kitchen (and Honorable Mentions). I hope you might try a few of these in the coming year if you missed them the first time! 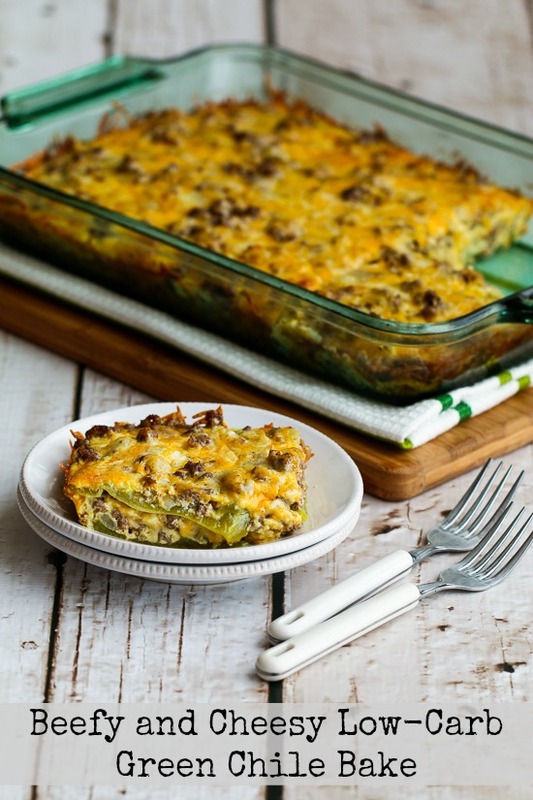 In January I try to come up with low-carb comfort foods to help people who are getting back on track, and in January 2015 this Beefy and Cheesy Low-Carb Green Chile Bake was popular on the blog. Another comfort-food casserole that I loved this year was Low-Carb Mock Lasagna Spaghetti Squash Casserole. 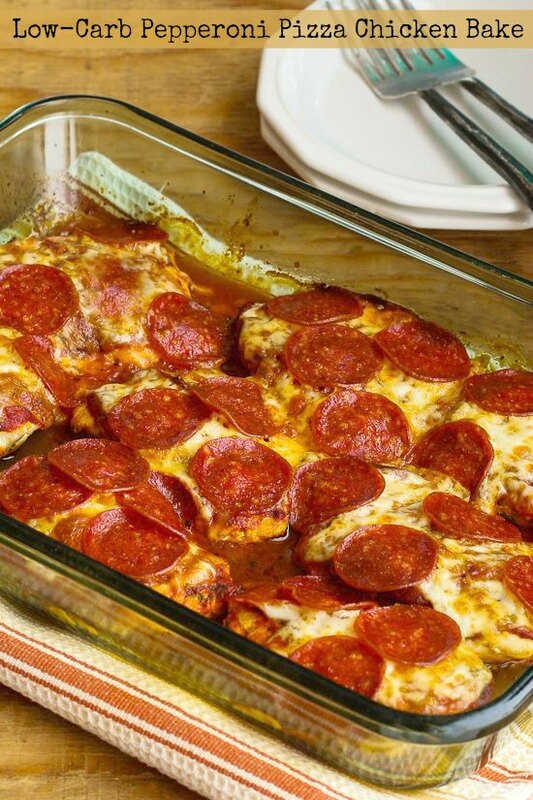 This Low-Carb Pepperoni Pizza Chicken Bake was a recipe I swooned over when I tried it, and it was a huge hit on the blog and on Pinterest. No surprise, right, because who doesn’t love pepperoni pizza flavors? Another baked chicken dish we loved this year was Sweet and Spicy Baked Sriracha Chicken Thighs. 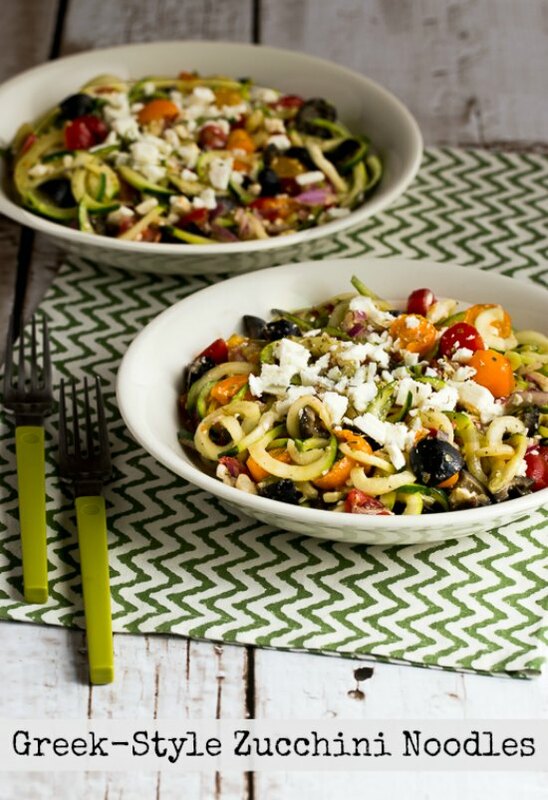 Greek-Style Zucchini Noodles have all the flavors that make me love Greek Salad, and I made this over and over. Two more zucchini noodle recipes I loved this year were Mediterranean Zucchini Noodles and Zucchini Noodles with Tuna and Green Olives. 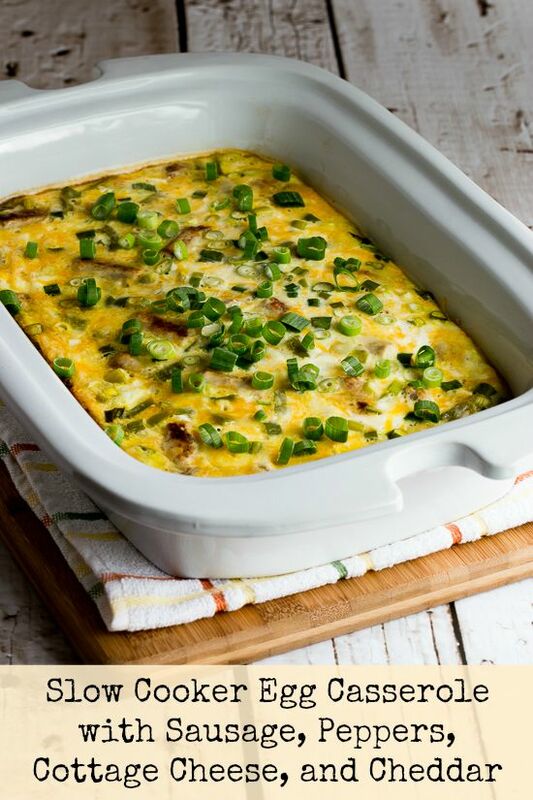 This year I had fun with my new Casserole Crock Slow Cooker and when I used it to make this Slow Cooker Egg Casserole with Sausage, Peppers, Cottage Cheese, and Cheddar, it was a winner! Make this in a large oval slow cooker if you don’t have the casserole crock. Another yummy breakfast from 2015 was Avocado Frittata with Cotija and Mozzarella Cheese. 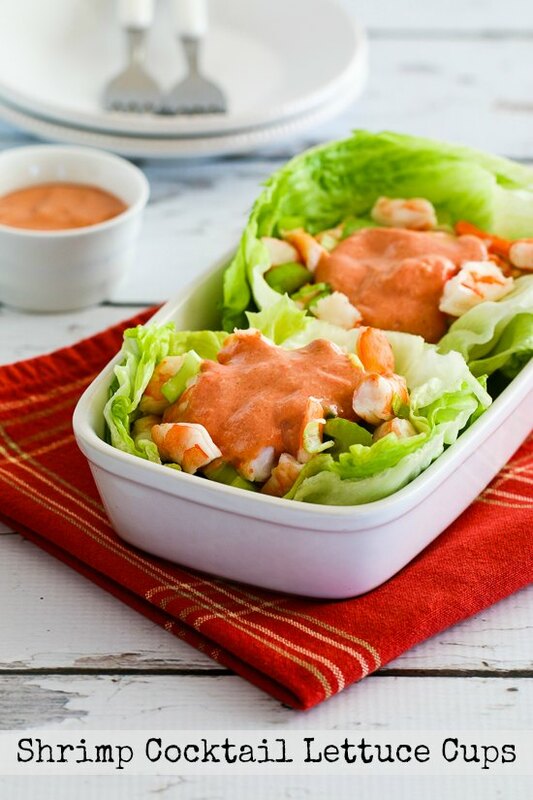 I love lettuce cups, shrimp, and cocktail sauce, so it’s easy to see why Shrimp Cocktail Lettuce Cups would make my list. Another new spicy fish recipe I really enjoyed was Buffalo Glazed Grilled Salmon with Blue Cheese Coleslaw. 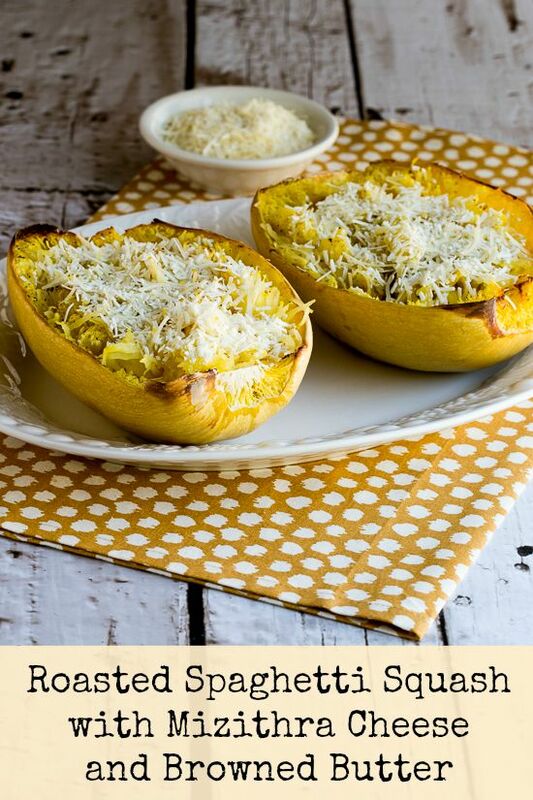 I had memories of spaghetti with Mizithra and browned butter at The Old Spaghetti Factory when I created this Roasted Spaghetti Squash with Mizithra Cheese and Browned Butter, and this was really a hit with everyone who tried it. More favorites with spaghetti squash were Spaghetti Squash Low-Carb Taco Bowl and Twice-Baked Spaghetti Squash with Kale, Feta, and Mozzarella. 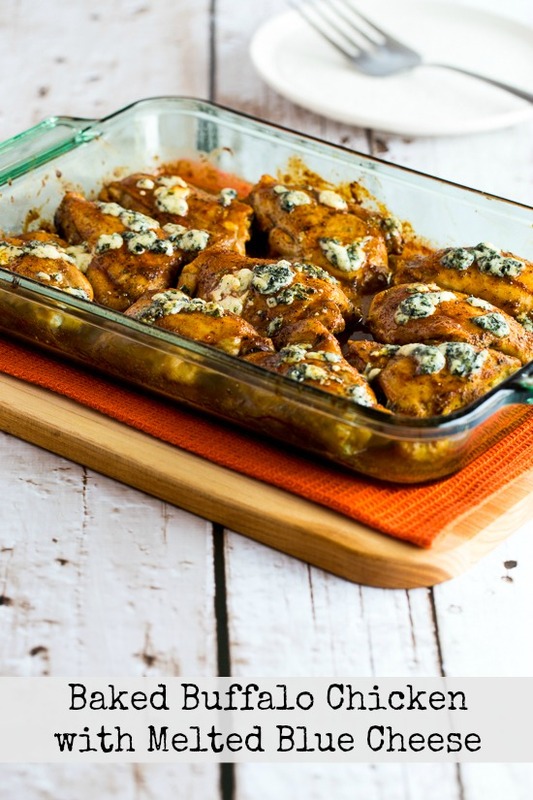 In 2015 I got a bit obsessed with Frank’s Red Hot Sauce after I found out it was low-carb and sugar-free, and this simple recipe for Baked Buffalo Chicken with Melted Blue Cheese was a perfect low-carb dinner. Two more Buffalo Sauce recipes I loved were Buffalo Turkey Lettuce Wraps and Slow Cooker Buffalo Chicken Cauliflower Rice Bowl. 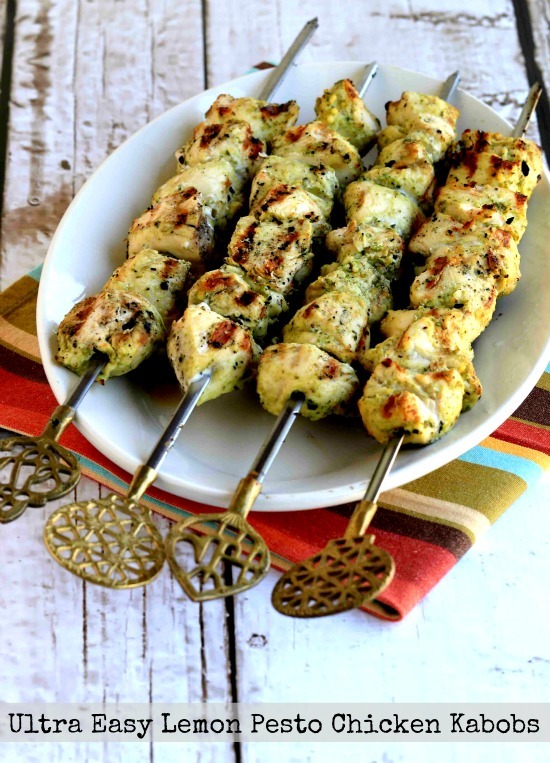 Grilled chicken is always on the summer menu at my house and after I got these lovely kabob skewers in Turkey, I made Ultra Easy Pesto Lemon Chicken Kabobs which were a hit with everyone who tried them. Another dish that used the Turkish kabob skewers was Sriracha-Glazed Grilled Chicken Kabobs. Salads are something I never get tired of, and every year I come up with a few new salad ideas that get added to my summer rotation. 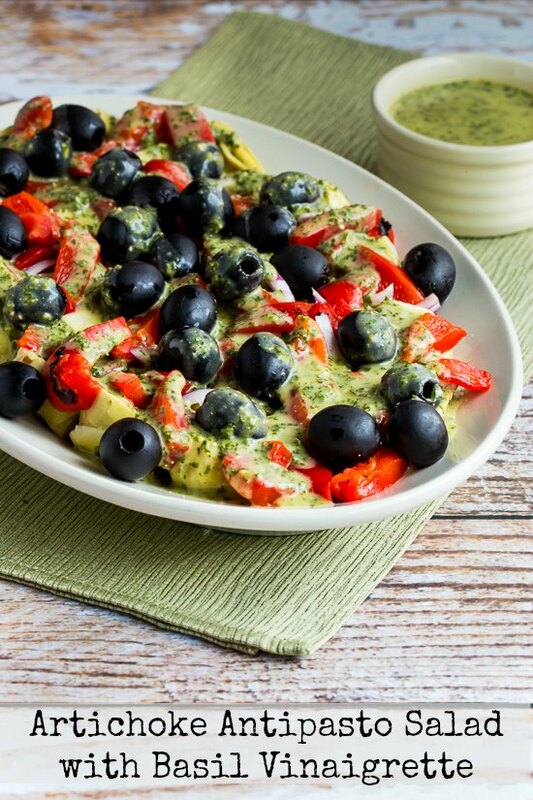 This year the one I made over and over for parties was this Artichoke Antipasto Salad with Basil Vinaigrette. Another new salad favorite that’s perfect for winter parties was Cabbage, Apple, and Kale Salad with Cranberries and Pistachios. 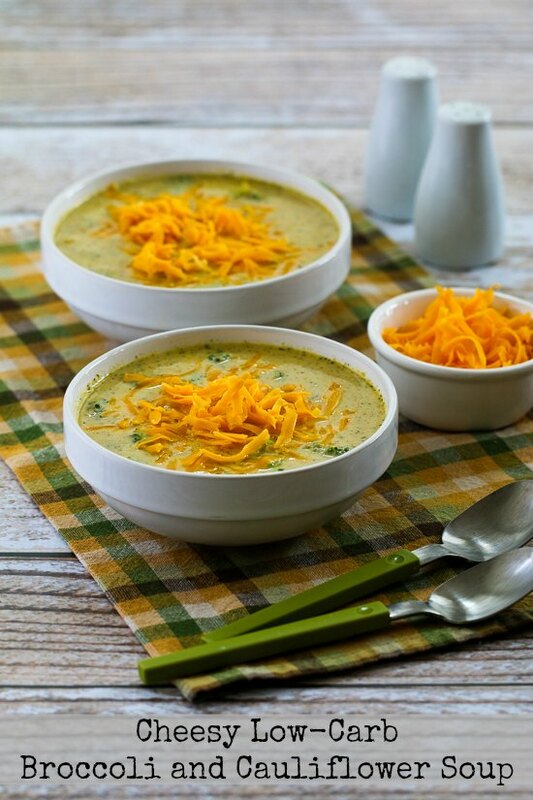 And to finish out the year, soups are one kind of recipe I always enjoy getting creative with and I have many favorite soup recipes, but this Cheesy Low-Carb Broccoli and Cauliflower Soup was a real stand-out this year. Two more favorite soups from 2015 (both with zucchini noodles taking the place of pasta) were Italian Sausage Soup with Tomatoes and Zucchini Noodles and Low-Carb Turkey Soup with Zucchini Noodles. And that’s a wrap! What do you think of my best-of-the-year choices; have you tried any of them? And if there’s another new recipe from this year that you think should have made the cut, I’d love to hear about what it was in the comments! It's always fun to see what recipes bloggers choose as their favorites. I love every one of your choices for this year! Thanks Lydia; I had fun trying to narrow it down! I'm going to try to veganize some of these. They look amazing. Happy New Year! Thanks, glad you like them. And happy new year to you too!